The NSSF has been trying to rebrand the AR Platform with the term 'Modern Sporting Rifle' (MSR). If you haven't heard this acronym before; it wouldn't surprise me. In an attempt to market the AR as a sportsman's rifle the NSSF have largely ignored what the rifle is mostly used for: Plinking and Protection. I don't want you to get the wrong idea here; I am not against folks hunting with AR's (I've used a Rock River LAR-8), in fact, they have proven themselves to be a VERY versatile platform; which shouldn't be a surprise to anyone. 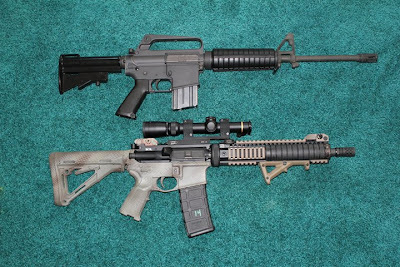 Many months ago Eric over at the Gunmart Blog wrote an article for AmmoLand titled: 'I Don't like the Term "Modern Sporting Rifle". He caught quite a bit of flak for his opinion, but his point is a valid one. "I love the idea behind it all. I love the effort to change the dialogue and to control the debate. Words are powerful, and choosing to use certain words instead of others (i.e assault rifle) can have a powerful influence on public opinion. But come on… lets be real… “Modern Sporting Rifle” has not been an effective choice of words. We threw it up against the wall, but it just didn’t stick. The biggest problem is that it has just not caught on. 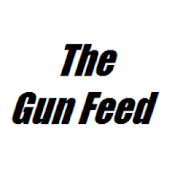 I have never, ever heard anyone outside of the firearms industry use this phrase." This morning before going into work (yes, I have a 'real' job) I read Andrew's take on the matter over at Vuurwapen Blog titled: 'The "Modern Sporting Rifle", Isn't'. 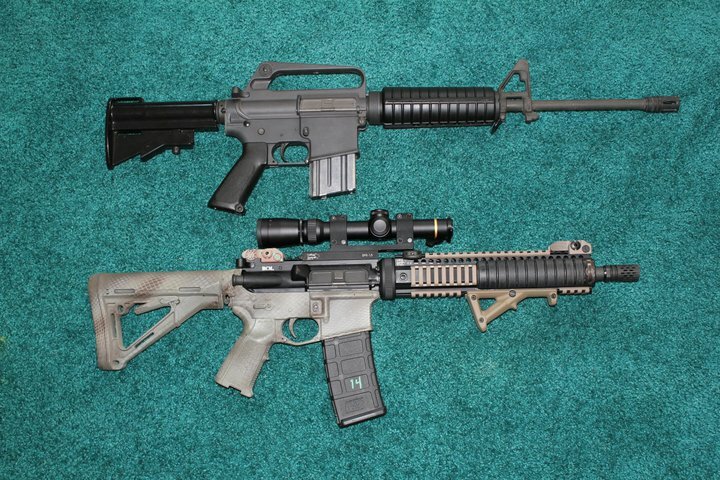 In his typical fashion (backed by facts and data points) Andrew lays out his argument that by introducing the rebranding effort of the AR Platform to the 'MSR'; NSSF has only confused the market place by pushing a singular activity the rifle is best suited to perform. Hunting. After reading Andrew's post and re-reading Eric's this morning I went to work and decided to 'test-drive' the term MSR. I conveniently work at a large retailer of AR Platform Rifles so the introduction of the topic wouldn't be as awkward as if I had worked in a hospital... The first folks I tried it out on looked at me very confused. "What's an MSR?" I pointed at the AR's. The second time I had a gentleman looking for a semi-auto .308WIN, so I suggested he look at a 'Modern Sporting Rifle'. He openly admitted to never having heard the term used before. This basically sums up my experience throughout my day attempting to work 'MSR' into the conversation. Does this mean that NSSF has failed? Not necessarily, but I think we need to stop trying to make the AR out to be your Grandfather's Model 70. The acceptance of the AR Platform will only come with time; just as the acceptance of the Lever, Bolt, and first Semi-Autos did. It is my opinion that different types of firearms (Muzzle Loaders, Lever, Bolt, and Semi-Auto) are all brought into the 'gun culture' by the generation the receives the greatest benefit from them. 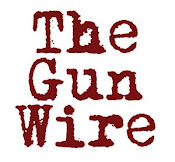 EVERY FIREARM we use for any activity have a lineage that can be traced to a military arm. Why do we use variations of military weapons? The obvious reason is because they have been proven in some of the most inhospitable environments on Earth. The not-so-obvious reason for many people is that WE are the military. I don't specifically mean you, perhaps, but your Father and his Father and his Father all brought home their idea of the preferred firearm. More often than not, it was the firearm that protected them and their friends through some very heroing experiences. The rise in popularity and use of the AR Platform shouldn't surprise anyone. It is the recent generations' preferred firearm for all of the same reasons. "If I'm wearing them in church; they're my church shoes. If I'm running in them; they're my running shoes. If I'm hunting in them; they're my hunting boots." So, if you see me plinking with my AR; it's my plinking gun. If you see me hunting with my AR; it's my hunting gun and if you read about me defending myself and family with it; it's the tool I've chosen to use in order to preserve the Life, Liberty and Pursuit of Happiness that they deserve. I kinda like "Sport Utility Rifle" 'cause it makes them sound twice as eeeevil. There's a really simple solution. Let me see that "DR". Defense Rifle. Simple, to the point & automatically puts the other side in the wrong. Why don't you want me able to protect my family with my Defense Rifle? Uses their own tactics against them. I like assault rifle because that is what they were designed for. This a war rifle and it is a very good rifle.